Encima brought us to food heaven. All the mouthwatering dishes served were fabulous, and we felt like VIP that night. 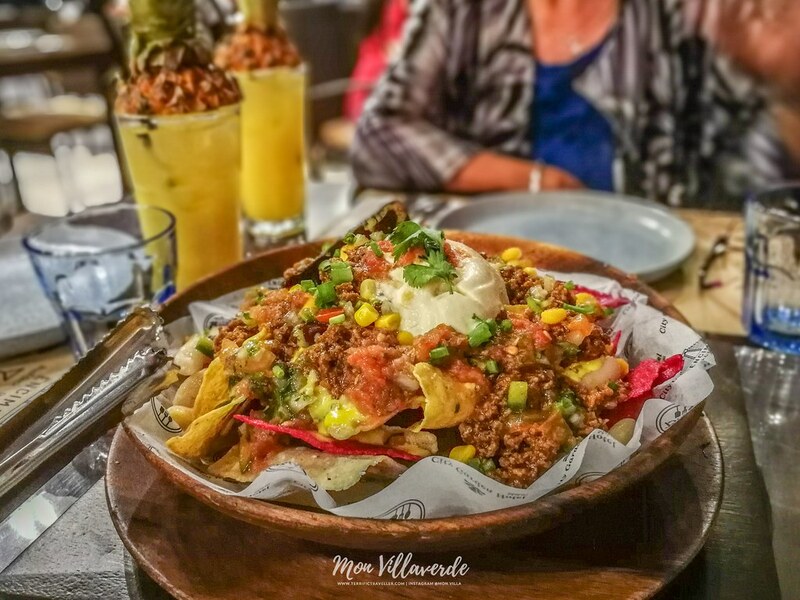 We were treated to their innovative Tex-Mex creations – mouthgasm! (not even exaggerating). You’ll not only find one gem at the hotel’s roof deck but two! this floor also houses their swimming pool with heated jacuzzi that’s for both adults and children. You can also lounge beside the pool while looking at city lights, drink beer and relax, or grab your barkada and have a party! 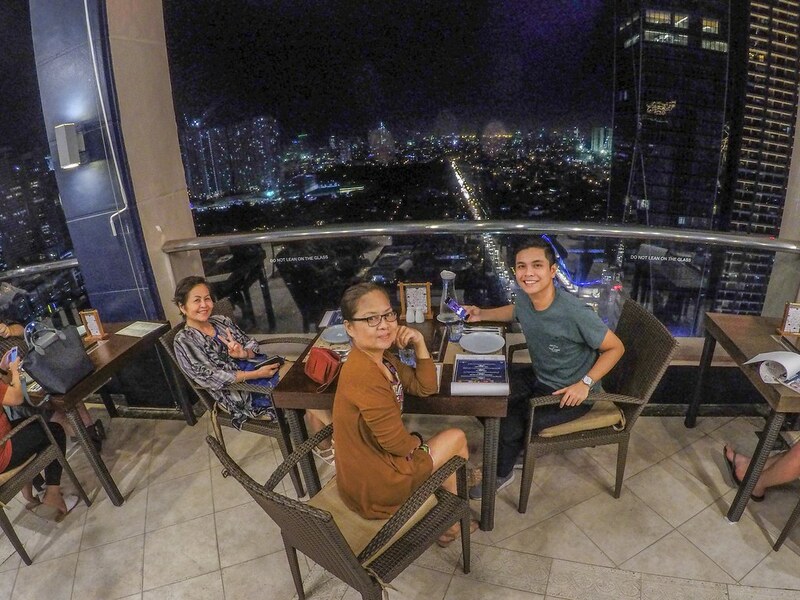 We were seated by the glass panel so we could wander our eyes at the beautiful lights (both at the restaurant and the city lights) a few minutes after sitting and looking at the Menu, we were approached by the hotel’s F&B Manager, Ms. Rinna Reyes (hi Ms. Rinna!) to introduce the specially arranged Tex-Mex dinner for us that night (unexpected!) that will be prepared by none other than Encima’s very own Sous Chef Ms. J-An Fernandez (hello Ms. J-An!). I really didn’t foresee that news because I would just normally pick what’s on a Hotel’s Menu. This was a first, and I was already excited for the Tex-Mex dishes that were about to be rolled out. Piña Cubana – Fresh Pineapple bits mixed with Nestle Pineapple Guyabano, Vodka, Rum, Gin, Sweet & Sour mix, Triple Sec, served in a whole Pineapple (I guess they ran out of Pineapple, but still, the presentation was cute!) These two were for my Mom and Aunt who both loved it! (though they had to request to remove the alcohol). Strawberry Buko Melon – Frozen Strawberries mixed with Nestle Buko Melon, Tequila, Triple Sec, Sweet & Sour mix garnished with fresh Basil and Strawberries. This drink started my evening with a bang! it was so good, I had to savor each sip lol. But kidding aside, one of the best original creations I’ve tasted in the Metro. VERDICT: Both drinks tasted not only good but great! very unique mix, eye-catching presentation, and very refreshing. 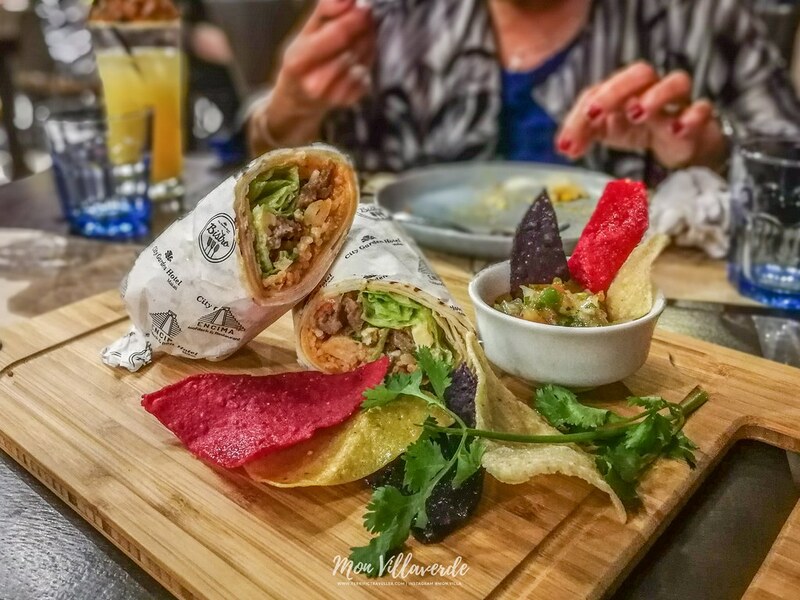 Crispy nacho corn chips with a hearty portion of seasoned beef, fresh tomatoes, black olives, red onions, kernel corn, cilantro, spring onion and shredded cheese. Topped with guacamole, sour cream and pico de gallo. VERDICT: This is an appetizer, but looked and tasted like a main dish (and that’s a good thing!) the serving size was enough for 4-5 people, the taste was off the charts, you could tell all the ingredients used were fresh, and you’ll easily get full if you don’t stop eating it (trust me, you won’t stop). 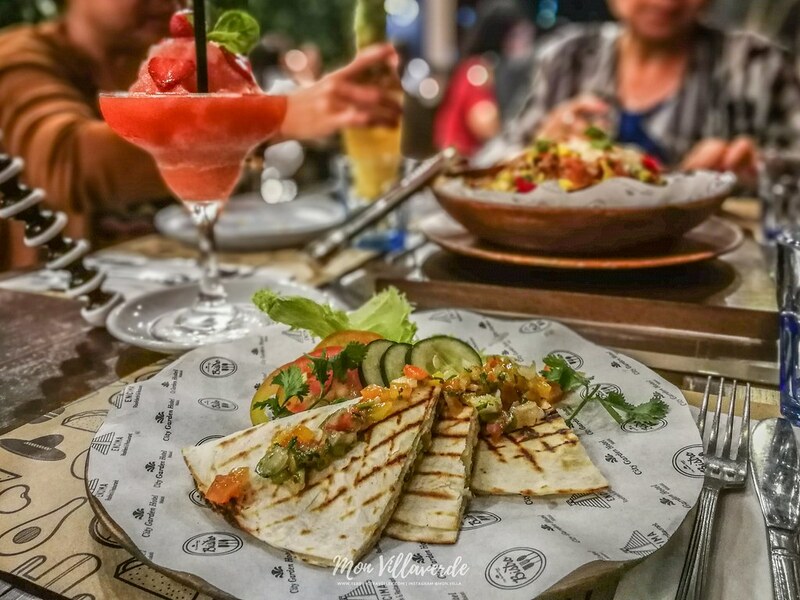 A quesadilla is a flat circle of cooked corn masa, called a tortilla, warmed to soften it enough to be folded in half and then filled – wiki. VERDICT: Garnished with salsa, some veggies on the side, and a few herbs, this plain quesadilla is both cheesy and creamy (dreamy? ), also a must try finger food at Encima. VERDICT: Definitely not your regular burrito, for this version is fuller, juicier, and meatier! They added steak inside your favorite burrito which added more texture and taste. I am not a fan of burritos but this one turned me into one. Burrito lovers come one, come all! 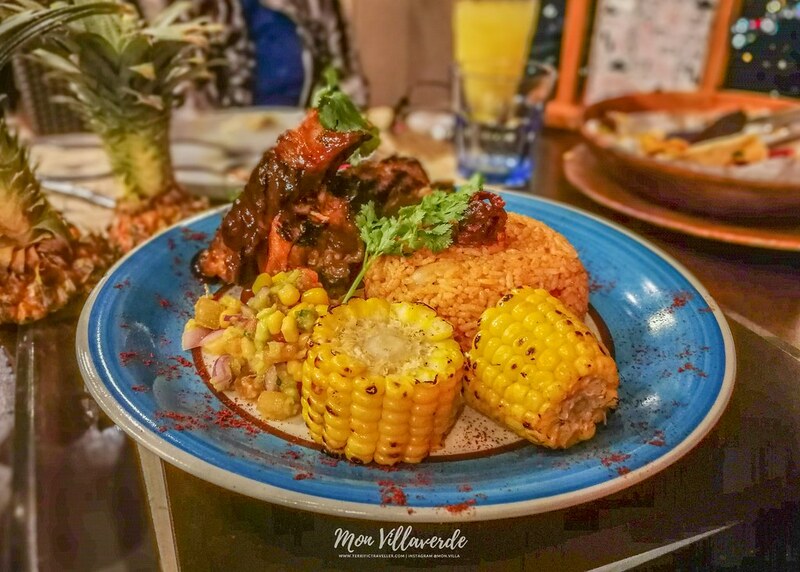 Dry rubbed pork ribs served in chiptole barbecue sauce with smoky corn and avocado salsa. VERDICT: Another burrito, but this time it’s fried! (and I think, bigger?) and better – this one has more dips and fuller taste than most fried burritos out there. Definitely a must for all Tex-Mex lovers (especially those who love burritos!). Mango Cheesecake Flautas – Mangoes and Cream Cheese rolled in a tortilla, grilled for a warm finish. 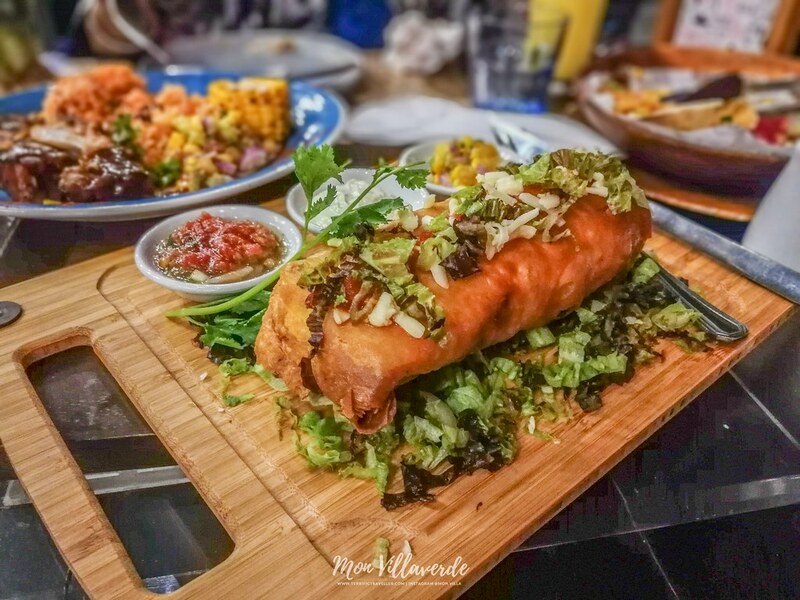 Apple Chimichanga – Soft Cinnamon Apples and Cheese wrapped in flour tortilla, fried, served with a scoop of Vanilla Ice Cream. VERDICT: Both desserts are now in my “desserts to try again next time and tell friends because they are so good” list. I am lactose intolerant but I still had to try even just a small bite of each plate to know how they taste like, and why my mom and aunt’s mouth said: “wow sarap”. True enough, both are winners, each has their unique blend and texture, recommended to everyone with a sweet tooth! PRICE: ₱200.00 (~$7.00) & ₱330.00 (~$6.50) respectively. 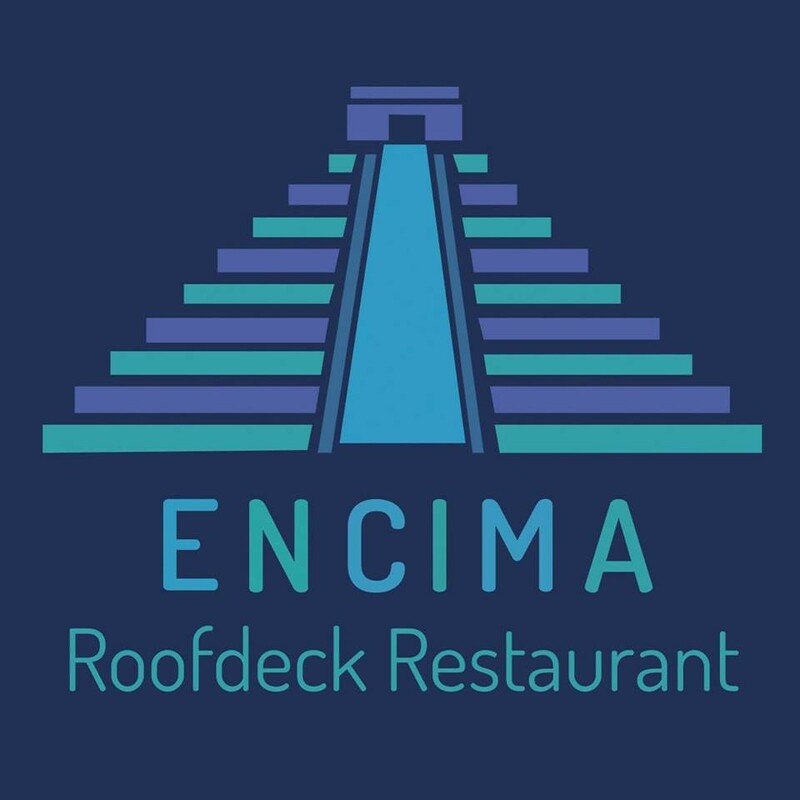 I know what you’re thinking, why did I make you hungry and crave for Encima’s Tex-Mex goodness at this hour? well you don’t have to just look at the photos, Encima is just a short drive/commute/walk away from Makati CBD! 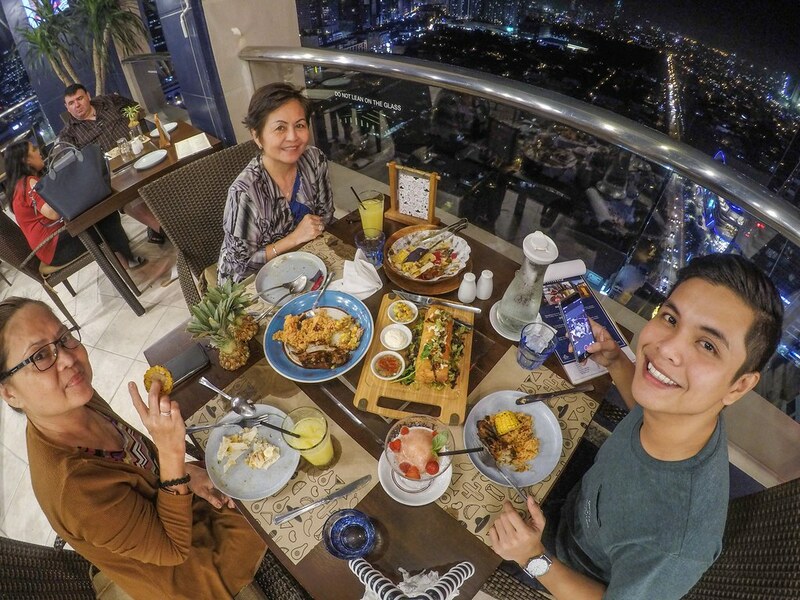 (forgive our sleepy eyes because of the amazing massage a few hours ago) Thank you City Garden Hotel Makati and Encima Roofdeck Restaurant for the memorable dinner!